Category: Girls, Tutus & Accessories. Posted in Girls, Tutus & Accessories. Tagged as Bunny Tutu Set, Travis Designs. 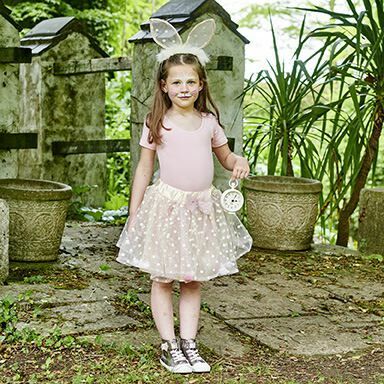 This cute tutu set features a pretty skirt with layers of cream soft spot print and glittery pink tulle, encasing fun pompoms! The skirt is trimmed with a pink glittered bow at the waist and, of course, a furry bunny tail at the back. The matching headband emulates bunny ears and is trimmed with soft cream marabou. Packaged on a header card.